The eyes are the most expressive feature of the face. With that said, the upper and lower eyelids have a large effect on the appearance of the eyes. Blepharoplasty, more commonly referred to as eyelid surgery, is an effective plastic surgery procedure that has the potential to dramatically enhance one’s facial appearance, making you look more youthful and rested. The most common reason why patients undergo blepharoplasty is to treat sagging skin, puffiness, droopy or baggy eyelids, excess skin, and/or wrinkles around the eyes. A qualified plastic surgeon can perform this procedure on the upper and/or lower eyelids, depending on which regions you would like to enhance. Please contact OC Facial Plastic Surgery to schedule a consultation for eyelid surgery (blepharoplasty). If stretched or wrinkled skin is the only issue you are experiencing around the eyes, an upper blepharoplasty alone can yield a great result. However, eyelid surgery is often performed in conjunction with a brow lift in order to completely refresh the upper third of the face. During your consultation, our board-certified facial plastic surgeon, Dr. Ali Sepehr, will determine the appropriate treatment options for your concerns by lifting your forehead subtly to the appropriate level with his hands. If this has little to no beneficial effect on the upper eyelids, upper blepharoplasty may be enough to achieve your goals. 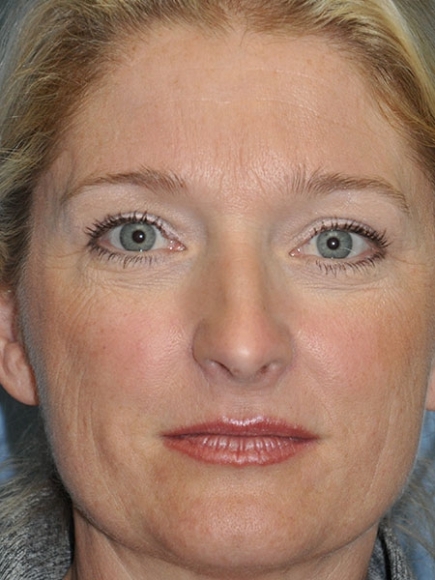 In the event that the redundant skin disappears completely, a brow lift may be indicated. If this motion improves the upper eyelid appearance but redundant skin still remains, a combination of both procedures may be recommended. After discussing your aesthetic goals in a consultation, Dr. Sepehr will create a custom treatment plan tailored to address your needs. Once Dr. Sepehr determines if intravenous sedation or general anesthesia is best for you, he will begin the procedure. In general, excess skin will be removed, fatty tissue may be repositioned, and drooping skin may be tightened or trimmed. Depending on the complexity of your procedure, it may take one to three hours from start to finish. Patients should be able to return home after the procedure. To learn the specifics of upper and lower eyelid surgery, continue reading below. Upper blepharoplasty typically takes approximately one hour. This procedure can be performed to tighten the excess skin above the eye or correct the look of eyelid “hooding,” wherein lax eyelid tissue begins to obscure one’s field of vision. The surgery involves placing well-hidden incisions in the natural crease of the upper eyelid to make them nearly invisible after healing. Redundant skin and protruding fat are removed, and the incisions are closed with fine sutures to further minimize the visibility of the scar. Healing time is minimized by delicate surgical technique. Our eyes are surrounded by fat which permit our eyes to move freely. This fat is kept within the eye socket by the “orbital septum,” which acts as a retaining wall. Over time, the orbital septum weakens and allows the fat to protrude, producing puffy lower eyelid bags. These lower eyelid bags often cast a shadow, leading to dark circles under the eyes. 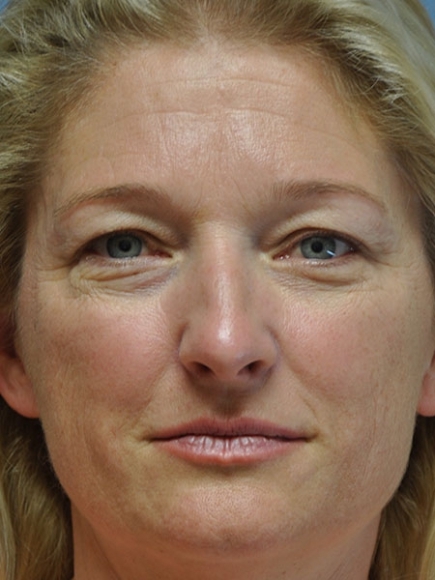 Lower blepharoplasty typically takes one hour. Patients are candidates for one of two approaches, depending on their anatomy and their specific indication for the surgery. Incisions can be placed either inside the eyelid or through the skin on the outer surface of the eyelid. From one of these access points, bulging fat can be removed to minimize lower eyelid puffiness. Excess skin in the lower eyelids can also be treated in a variety of ways, including a little skin pinch excision, laser skin resurfacing, or chemical peels, which all cause tightening of the skin. 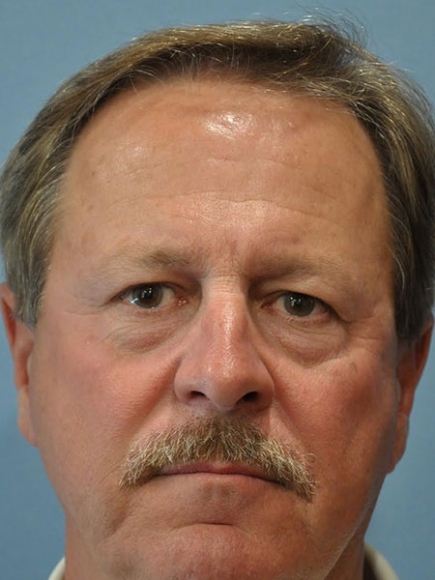 Dr. Sepehr will carefully evaluate each patient to determine the best technique. Blepharoplasty was the 3rd most popular surgical cosmetic procedure performed in 2016. After you return home from your surgery, Dr. Sepehr recommends prioritizing your recovery process. Most patients find simply resting their eyes after the procedure to be helpful, but you should also elevate your head as much as possible for the first few days following your procedure. If you experience any soreness or tightness in the eye area, don’t worry— these are normal reactions. There may be swelling or bruising in the surgery area, but using a cold compress can often reduce these discomforts. An oral medication may also be prescribed to help manage potential pain. It is best to avoid the use of contact lenses for at least two weeks following your procedure, and strenuous exercise should be postponed for at least three weeks. There is minimal pain after eyelid surgery. In fact, patients typically only feel tired and want to rest the eyes. Some tightness or pressure is normal and can easily be treated with pain medications. The eyelid tissues are very delicate, so any irritation can cause significant swelling. However, since surgical swelling is generally caused by very little manipulation, it also resolves very quickly. On average it takes ten days for the bruising to fade. It is normal to have some blurry vision as a result of the hydrating ointment. How Long Will Results From Eyelid Surgery Last? Results from our blepharoplasty procedures typically last 10 to 15 years, provided you care for the skin around your eyes. This can be done by applying sunscreen daily, avoiding smoking, moisturizing your skin as needed, and a good skin care regimen. It is possible that other lifestyle choices or genetic predispositions may affect your results as well. Dr. Sepehr has extensive training and experience and will do what he can to limit residual scarring. The incisions from your surgical procedure may be visible immediately following the operation, but once healed, any scars should be virtually unnoticeable. After Dr. Sepehr gains an understanding of your needs and cosmetic goals during a consultation, our office can provide you with a personalized quote of your procedure. To make the cost of blepharoplasty more manageable, our practice works with highly reputable plastic surgery financing companies, such as CareCredit® and Prosper® Healthcare Lending. Once approved through the easy application process, qualified candidates can choose from an array of low interest and interest-free payment plans to select the option that is most ideal for their budgetary concerns. If you are interested in paying for your treatment over time, or have any other questions about the price of eyelid surgery, please contact our practice to speak to a member of our team. Can I Get an Eyelid Lift Without Surgery? While there is not currently a minimally invasive procedure that can mirror the quality or longevity of results of eyelid surgery, patients interested in non-surgical blepharoplasty can still achieve effective facial rejuvenation with injectable treatments. For individuals concerned with horizontal brow creases, frown lines, or “crow’s feet” around the corners of the eyes, BOTOX® Cosmetic can be a simple way to refresh the upper face and smooth expression wrinkles for a more youthful aesthetic. Similarly, injectable dermal fillers can be used to restore volume in the under-eye hollows or improve the look of flattened cheeks for a more vibrant appearance in the mid-face. These treatments provide a more temporary outcome than eyelid surgery, but can nonetheless yield exceptional results. During your consultation, Dr. Sepehr will help you determine which non-surgical cosmetic enhancement can fulfill your aesthetic goals without the need for surgery or downtime. Choose a board-certified facial plastic surgeon. Accreditation by the American Board of Facial Plastic and Reconstructive Surgery can not only signify an exclusive focus on aesthetic procedures for the face, but it may also give you the confidence of knowing your surgeon has been vetted for competency in every aspect of facial plastic surgery. Research training and background. Learn about your prospective surgeon by researching their credentials, such as the professional organizations they belong to and whether they subspecialize in any procedures. This can give you insight into his or her level of experience, as well as how often they usually perform eyelid surgery. Look at before-and-after photos. Viewing a surgeon’s patient gallery is typically the best way to determine whether the blepharoplasty results you may potentially achieve align with your cosmetic goals. In addition, taking a look at a plastic surgeon’s past work can provide realistic expectations about the benefits and limitations of eyelid surgery. Review a prospective surgeon’s reputation. Be sure you are selecting a facial plastic surgeon who offers exceptional patient care by reading their online patient reviews. The assessments written on platforms like Google, Facebook, and Yelp can shed light on a surgeon’s ability to achieve high levels of patient satisfaction. Once you have narrowed down your possible choices, the next step is to schedule a consultation with a plastic surgeon who has met your criteria. This will give you the chance to ask about his or her qualifications in person, and allow you to assess how comfortable you feel under a given surgeon’s care. Dr. Sepehr is fantastic. He did my both upper and lower eyelids about 6 months ago and it literally took 15 years off of my appearance. And it couldn’t look more natural. He said there may be a little faint scar, but I can’t even find mine. It’s nice to have a surgeon that is very good at what he does. It’s a plus when he is literally one of the nicest docs you will ever meet. What age is best to have eyelid surgery? There is no perfect age to have blepharoplasty, but our patients are typically 35 years or older. Every person has unique factors that make them qualified for eyelid surgery, which may include the effects of the natural aging process or inherited genetics. If you think this procedure could help you achieve your cosmetic goals, please contact us to schedule a consultation. Then, we can review your medical history and evaluate your needs to determine if this procedure can benefit you. Can blepharoplasty help dark circles or under-eye hollows? When the lower eyelid begins to sag, it can cast a shadow, leading to dark under-eye circles. If fat in the cheek is pushing up towards the eye, Dr. Sepehr can reposition the fat and fill the under-eye area that is lacking volume. A lower eyelid procedure may be right for you if you have noticed any of these signs. Most health insurance will not cover cosmetic surgery. However, when this procedure is performed to remove excess skin that is covering the eyelashes, some costs may be covered by your insurance company. This is most common if the tissue folds over the eye and is causing obstructed vision. It is best to contact your insurance company to obtain a clear understanding of what they will or will not cover. How long should I wait until I return to work? Many of our patients return to their jobs within 10 days of their procedure, as that is when the majority of the swelling and bruising have typically diminished. However, everyone heals at different rates, so be sure listen to your body and to Dr. Sepehr’s recommendations in terms of when may be the best time to resume normal daily routines. Patients can usually see improvement soon after surgery. Full blepharoplasty results are often seen several weeks or months after the procedure was initially performed. By following Dr. Sepehr’s recovery plan, swelling and bruising should gradually decrease. Throughout your recovery, our medical staff can answer any questions you may have about this process. Please contact Dr. Ali Sepehr for more information on blepharoplasty (eyelid surgery). How Can Lower Eyelid Surgery Benefit Me?